Fluffy and Juicy! Amazing Steamed Buns at Nikuman-Ya in Gardena, Los Angeles – JCB International Credit Card CO., LTD. Located in the food court of Tokyo Central and Main (previously Marukai) in Gardena, Nikuman-Ya’s specialty is hand-made Japanese-style steamed buns. 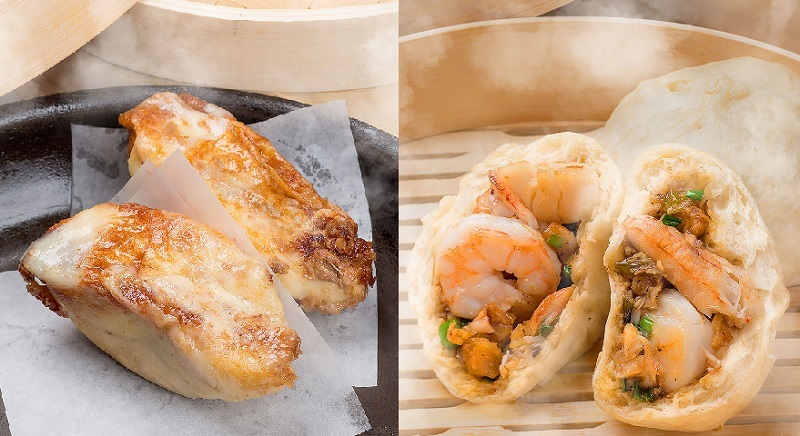 For those who have tried other Asian buns such as Chinese cha siu bao or Korean kogi mandoo, nikuman is similar and worth adding to your culinary experience. 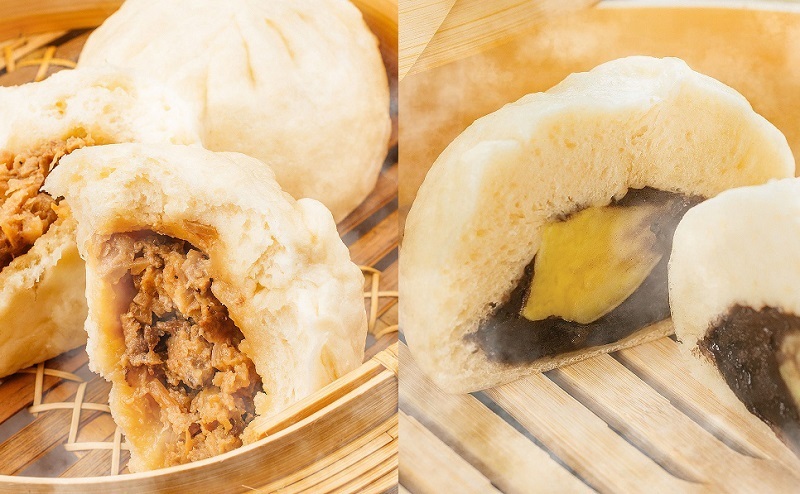 Nikuman, their signature item, is a warm, fluffy, doughy pork bun filled with a mixture of ground pork and vegetables. The meat filling is really juicy and well-seasoned making a great combination with the soft bun. If you like anko, sweet red bean paste, try their red bean bun. The red bean paste filling includes chunks of sweet potatoes which are a good accent adding a variety of texture and taste. Melty Cheese Pork Bun comes as two smaller half cut buns topped with melted cheese. Their Seafood Bun is a weekly special menu item so if you want to try it we recommend to call ahead and check for availability. Another popular item at Nikuman-Ya is their gyoza pot stickers. This ‘weekend-only’ item was named “King of Gyoza in Southern California” by the LA Times and chosen as one of “Where to Find the Tastiest Damn Dumplings in LA”. Like their buns, this pan-fried pork dumpling is made completely from scratch. The juicy filing is a mixture of pork, Napa cabbage, Chinese leek, green onion, onion, garlic, ginger and the owner-chef’s secret spice mix. Made to order, the gyozas are fried and steamed in a pan while you wait. When they are served the bottom of the gyoza skin is golden and crispy and the top half is translucent and soft. 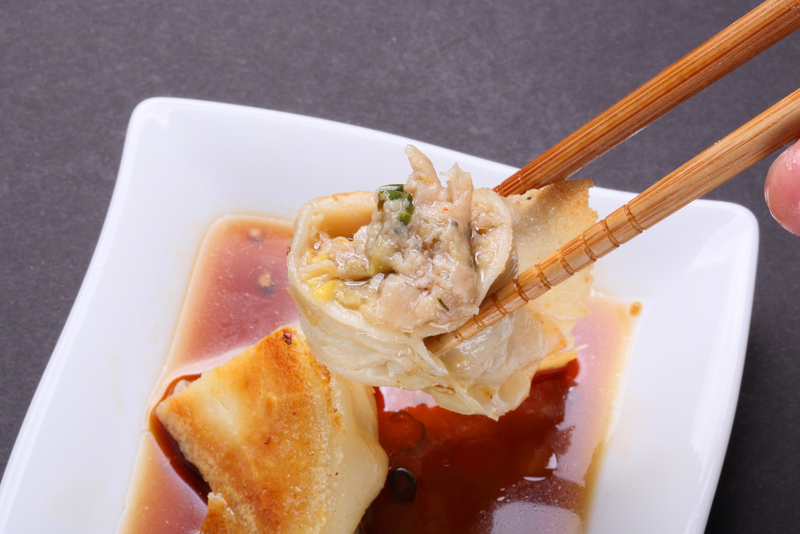 Biting into this gyoza fills your mouth with savory juice which is an experience your taste buds should not miss! The JCB card is accepted at Nikuman-Ya.